*Please note, this post was originally published on my former blog “Here Comes Baby One” on January 18, 2012. I’m republishing this content on this website to have it all in one place. Hope you enjoy digging up memory lane with me! How far along? 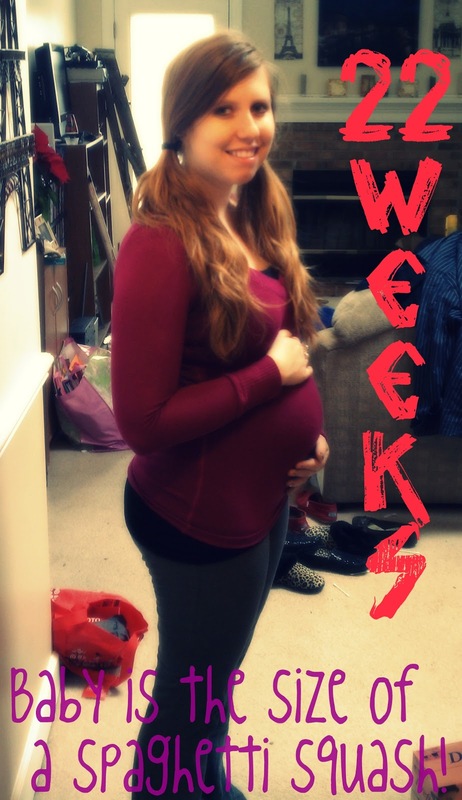 22 Weeks! Total weight gain/loss: 8 lbs.. ouch! Sleep: getting better but I wake up at random times in the night and baby always kicks my belly a lot before bed which makes it hard to fall asleep. I do get woken up my charlie horses too which are SO painful. Best moment this week: shower invites are ordered and I can’t wait for my shower that family is throwing! Movement: He’s a dancer for sure! Symptoms: HORRIBLE charlie horses in my calves that wake me up in the middle of the night.. have had them over and over for the past few weeks, uncomfortable breathing and uncomfortable stomach pains.